Let’s say you need to get a new fence to keep your pets safe and so that they won’t run off – well, why not consider the many benefits of vinyl fences? Which HOA regulations are you familiar with these days? In some cases, it’s not the HOA that controls what you can do with your property, but what your rental management company says you can do. This matters whether you rent an apartment or a townhouse. Let’s say you need to get a new fence to keep your pets safe and so that they won’t run off – well, why not consider the many benefits of vinyl fences? 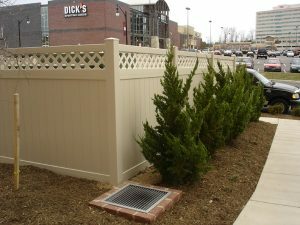 Compared to the other types of fences, vinyl fences are much easier to install. You can do it yourself, or if you don’t trust yourself to do it right, you can still hire fence professionals to oversee installation for you. That way, you know that the job gets done and the fence will stay upright for years to come. The individual pieces of the fence should assemble quickly without you needing to expend too much effort since they come to you prefabricated. You also won’t have to worry about fooling around with paints, stains, or sealants once the fence is set up, as well. Another advantage of vinyl fences when compared to their counterparts is that they’re much easier to maintain. You won’t need to worry about them rotting or blistering, which means your kids can play around them more safely. As they don’t need a finish, you won’t need to take any time to reapply that same finish. All you’ve got to do is grab your hose and rinse off any dirt or debris that can collect on the fence. Your vinyl fences will last you for years or even decades. You can expect anywhere from 20-30 years, by which time you will probably have successfully paid off your mortgage, or you are close to doing so. You can also keep searching for fences that come with a lifetime warranty, which promise protection matter what happens to your new vinyl fence. This makes any potential repairs that are necessary much less expensive if you have to pay anything at all. Contact Hercules Fence of Virginia Beach at (757) 321-6700, drop in, or contact us on our website to learn more about winter fence construction! You can keep up to date with offers and information from Hercules Fence of Virginia Beach on Facebook, Pinterest, LinkedIn, and Twitter. This entry was posted on Friday, March 15th, 2019 at 2:52 pm. Both comments and pings are currently closed.